At Kaanaanmaa we believe that while jewellery is a beautiful luxury, it shouldn’t cost the earth. To this end we choose to work with suppliers who share our ethical and environmental beliefs and working practices. Kaanaanmaa is proud of our Fair-trade and environmentally friendly credentials. Since 2011 we have worked with the Fair-trade Foundation for Fair-trade gold. Any non-Fair-trade gold we use is approximately 75% recycled. 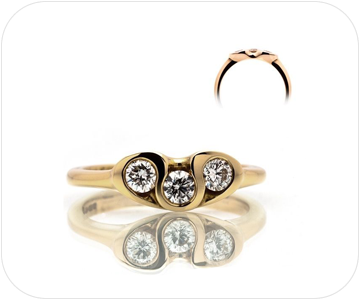 We are also able to re-use your old gold and gemstones. 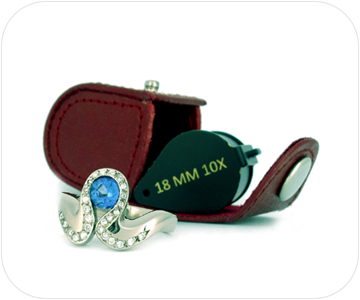 We apply the same high standards to our sources of ethical and ecological gemstones. 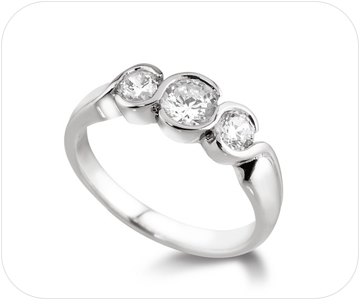 We only use conflict free diamonds that have followed the Kimberley Process. We source ruby and tanzanite stones from a specialist mine in Tanzania and other gem stones from small scale, artisanal, family run mines. We support small, independent gem suppliers whose operations have a minimal environmental impact and maximum returns for their communities. Supporting our economy and our fellow independent craftsmen is important to us and our chosen designers are mainly British and European. Repair work is carried out on the premises and we work with local people where possible, helping to keep our carbon footprint to a minimum.